Brainstorming session, Sustainable Urbanism: New Directions Workshop, 21 March 2016, Qatar University, with participants including Dr. Rob Roggema, CittaIdeal, and Dr. Lucy Bullivant (session leader). © Qatar University. With more than 90% of Qatar’s population living in urban areas, achieving the Qatar National Vision 2030 necessarily requires a major focus on sustainable urban development, writes Dr. Patricia McCarney, President and CEO of the World Council on City Data (WCCD), reflecting on the Sustainable Urbanism – New Directions Workshop. 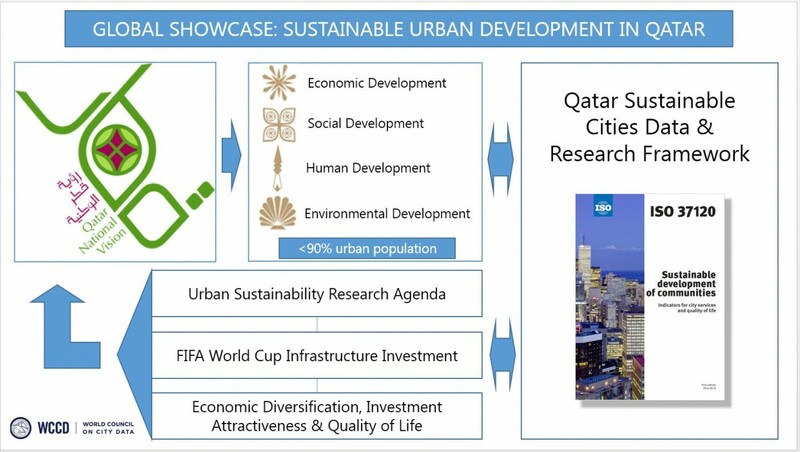 Both the brainstorming session on 21 March and the Sustainable Urbanism panel at the Qatar Foundation Annual Research Conference (ARC) 2016 on 22 March advanced the notion that sustainable city building must be supported by inter-disciplinary research that is informed by high-calibre city data. Progress in building sustainable cities requires contributions from a broad range of fields, as examined during presentations and discussions on green infrastructure, urban acupuncture approaches, food urbanism, ecological systems, and public-private partnerships. From Patricia McCarney’s presentation to Sustainable Urbanism: New Directions Workshop, 21 March 2016, Qatar University, © Qatar University. 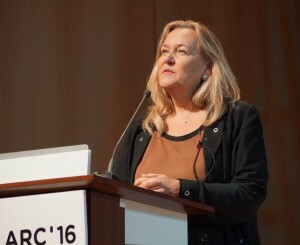 Professor Patricia McCarney, speaking at the Sustainable Urbanism event at ARC’16, 22 March 2016. © Qatar University. These inter-disciplinary approaches must be underpinned by high calibre city data in order to achieve effective and lasting change. Dr. Julia Lane from New York University and Dr. Patricia McCarney from the University of Toronto and the World Council on City Data discussed the importance of urban indicators and comparable data for a research agenda that leads to sustainable urbanism. ARC demonstrated how Qatar can become a showcase for sustainable, data-driven cities through investments in research and innovations for society. The panel on Sustainable Urbanism brought together researchers and practitioners on sustainable cities. Presenters identified and discussed pressing issues and key challenges facing urban research that can inform sustainable urbanism. One of these challenges is the lack of high-quality, comparable data on city sustainability performance, operational planning, design and management, and quality of life. This paucity of truly comparable data is a major deficiency for many key strands of research on sustainable urbanism, including urban mobility, infrastructure and housing development, resilience, and natural resource management. Ultimately, the lack of comparable data reduces the quality and applicability of the findings, particularly for supporting city governments around the world in dealing with the complex, interconnected challenges of rapid urbanization. 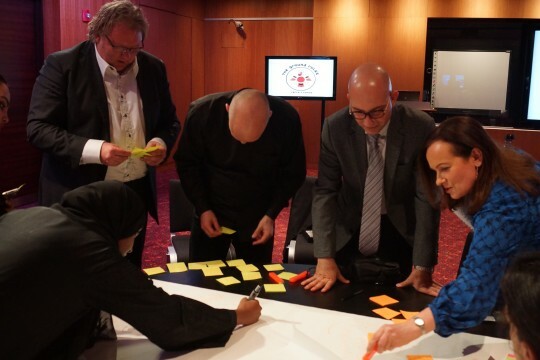 Building a culture of data builds a culture of innovation in Qatar – the core framework for sustainable urbanism.